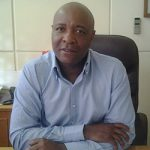 VICTORIA FALLS: Coal miner Hwange’s revival will depend on a quick exploitation of three new concessions, with its current resources running out within five years, managing director Thomas Makore has said. 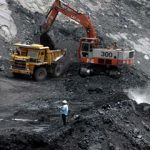 In 2015, government granted HCCL new coal concessions in Western Area, Lubimbi East and West with an estimated a resource of 750 million tonnes of mainly coking coal and thermal coal. The resources are expected to prolong its lifespan by 50-70 years. 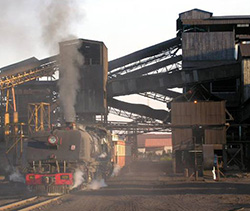 “Hwange Colliery is left with five years coal deposits and we are now looking forward to exploiting the three concessions,” said Makore as he briefed Mines and Mining Development Minister Walter Chidhakwa and Speaker of Parliament Advocate Jacob Mudenda at the weekend. “We have to start working towards exploration so that exploitation begins in the western area. 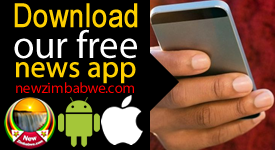 We are really optimistic as a team because we want this company to return to its old days and this means we are going to reemploy workers that were retrenched and also create new jobs once the western concession becomes functional,” he said. Last year the coal miner trimmed its workforce to about 2,400 and also introduced short time work roasters where employees work for two weeks in a month but week on the new concessions will enable it to rehire most of its original labourforce, Makore added. The company currently produces around 55,000 tonnes of coal per month, from 200,000 at its peak. Makore said the miner will resume underground mining at its 3 Main Underground Mine within three months after it secured $3,2 million loan from an unnamed international financial institution to repair key equipment. The company stopped underground mining two years ago after the continuous miner broke down. A continuous miner normally accounts for 45 percent of underground coal production and when working optimally, it processes about five tonnes of coal per minute, a feat that markedly increases throughput. “We have started work on the servicing of our Continuous Miner with the supplier agreeing to a deposit of $1 million to begin the repairs,” said Makore. In total, the company however requires $6 million for all equipment repairs. 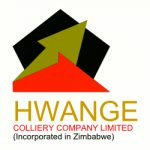 “Hwange Colliery’s success was premised on underground mining where we used to get high value coking coal which we exported to regional markets thereby sustaining the company.” said Makore. 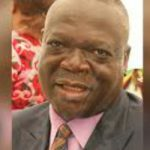 Chidhakwa and Mudenda were meeting the company’s management after Parliamentarians recently complained about the state of the affairs of the company. HCCL’s financials to June 30 last year showed current liabilities of $311 million, of which $256 million was under trade and other payables, against current assets of $61 million. It reported a full-year net loss of $115 million for 2015.